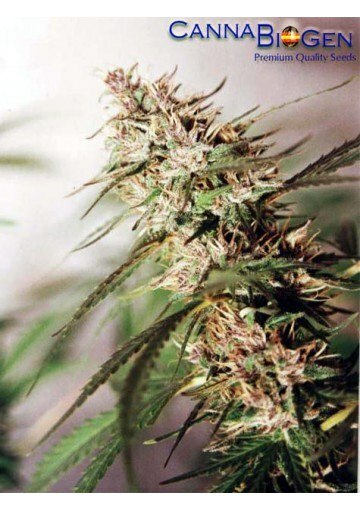 Cannabiogen's Caribbean marijuana seeds are an authentic jewel among the Sativas. Very resistant to adverse weather conditions, is a strain of long flowering but more than compensates the wait with high quality product. The feminized Caribe marijuana seeds from the Cannabiogen Seeds bank are a real sativa jewel developed by this Spanish bank. Fruit of a first line retro crossing between the NL-5 champion from the Netherlands and a Haze coupled with a Jamaica Lambsbread very well stabilized coming from the mountains of Jamaica, this strain is a real delicatessen. With very good resin yields, it is an antique strain that more than compensates for its long flowering period. Caribbean is a strain that adapts well to different types of growth, but needs care and attention so that it does not fall apart. When it is grown in interior we will have to be attentive and never leave it more than 30 days of growing and, at the end of this phase of the culture, to shorten progressively the hours of light from the 12 to the 8 hours so that it does not return to the vegetative phase. On the other hand is a strain very resistant to both diseases and mold in wetter climates, so it is ideal for growing in places where other plants would not have any chance. Caribe structure is typical of old school Sativa. With a long distance between branches and thin leaves, this strain has a very open bud structure, which allows it to resist humidity very well. At the end of its flowering is a plant that has a good amount of buds and little leaf, which greatly facilitates the task of manicuring. Caribe is a strain of medium production and long flowering. When grown under artificial light is a variety that takes about 70 and 80 days to complete its flowering and can offer up to 400 grams per square meter. Outdoors, with sunlight, this strain can reach about 500 grams per plant about a month after the end of summer. All this is compensated by the quality of the final product obtained, a marijuana that will stop time and open the mind due to its strong sativa component. A variety for lovers of Sativas, that make fly and visit new worlds to all those who try it. Talking about the aroma and flavor of the Caribe, it highlights mainly the strong intensity of wood, incense with a background of tropical-style fruits. Plantation: spring outdoors and all year indoors with artificial light.